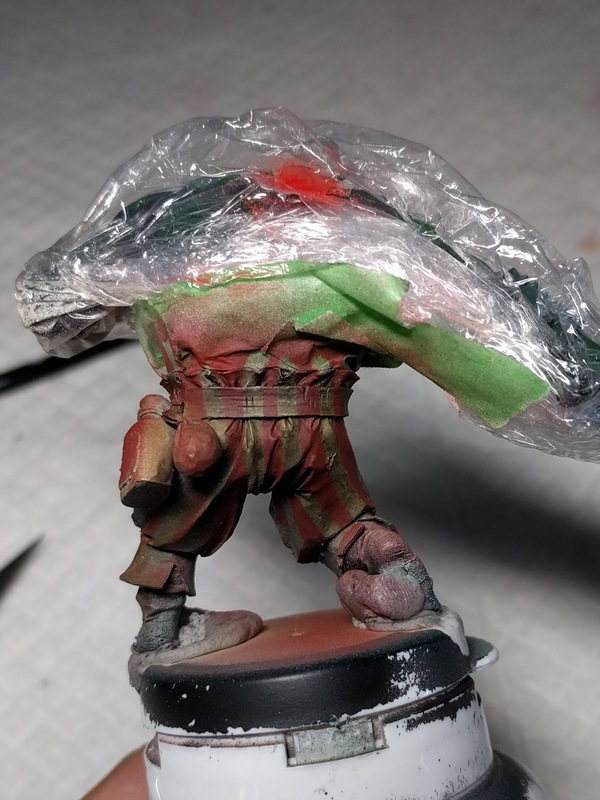 A little over a year ago, I painted up a Contemptor Dreadnought under the instruction of Kat Jackson and Caleb Wissenback of CK Studios. 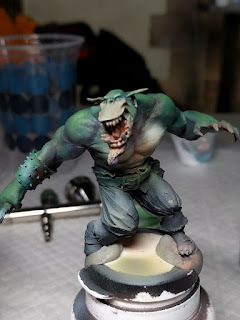 Prior to this, I had only done very basic things with an airbrush... which generally resulted in damaging the airbrush. 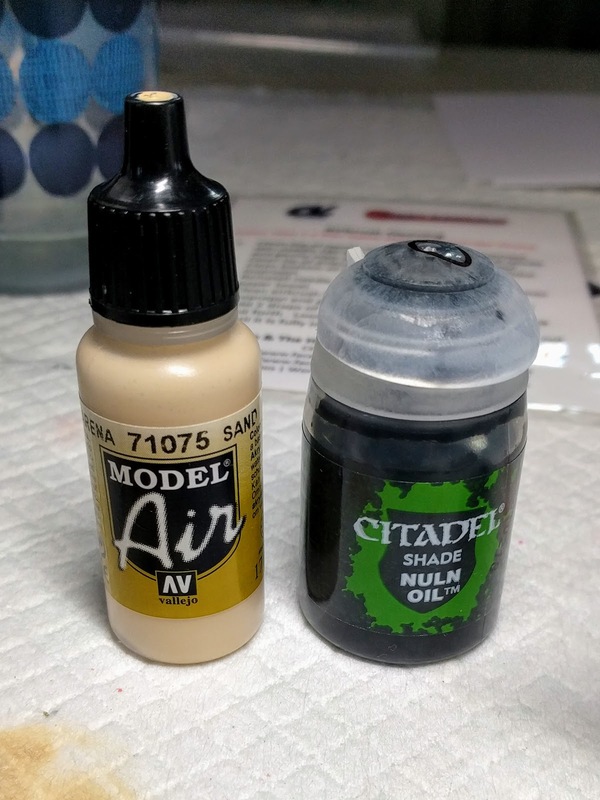 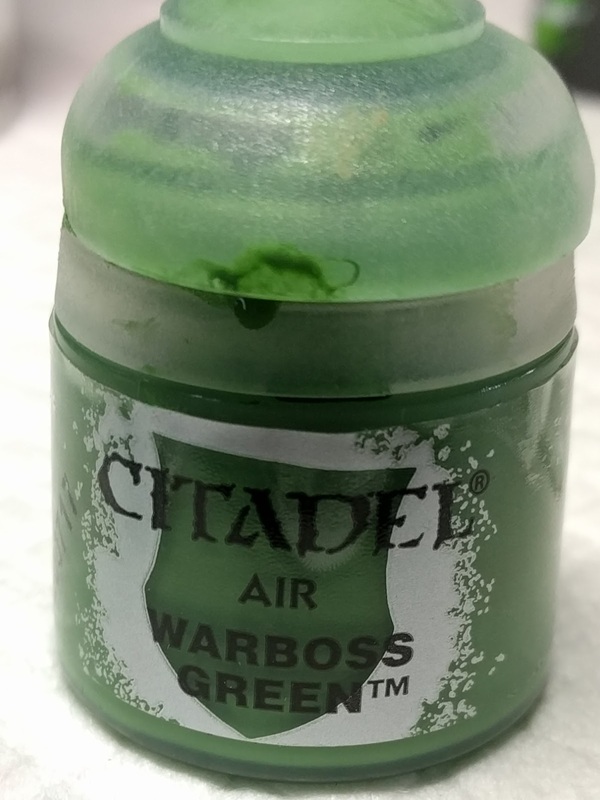 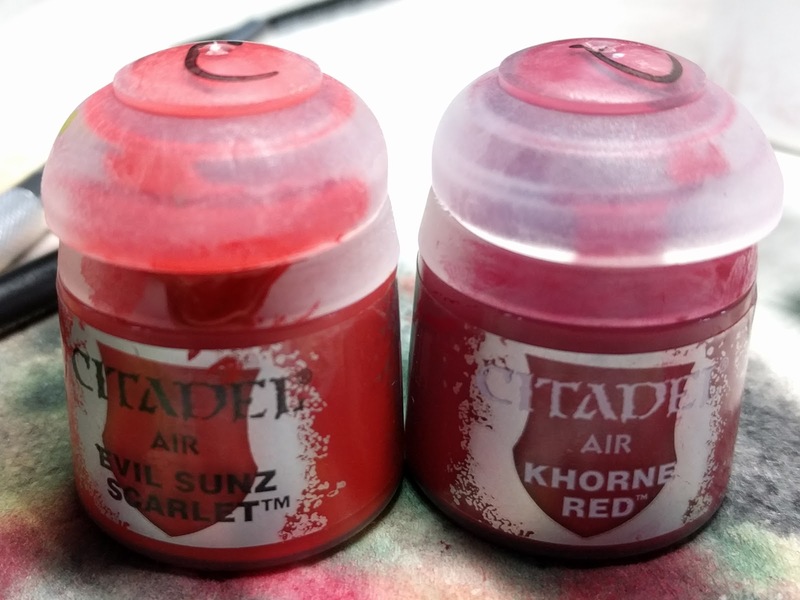 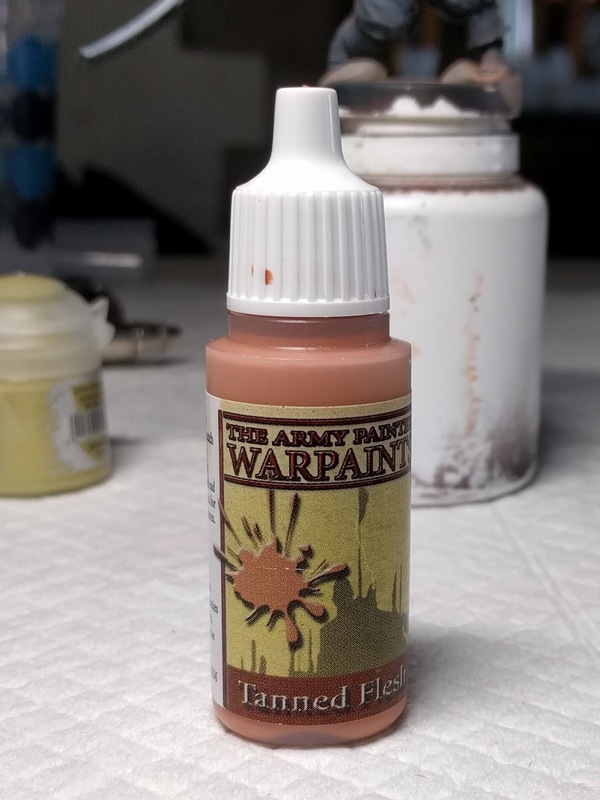 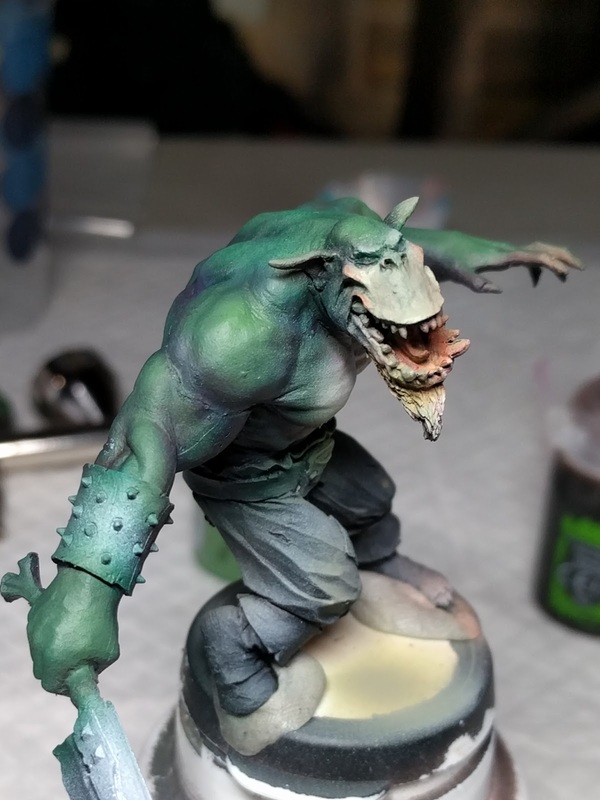 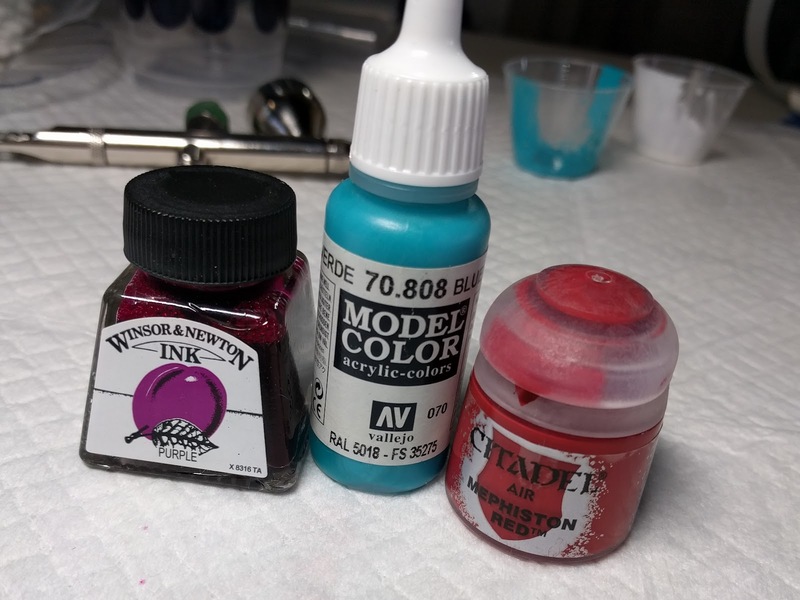 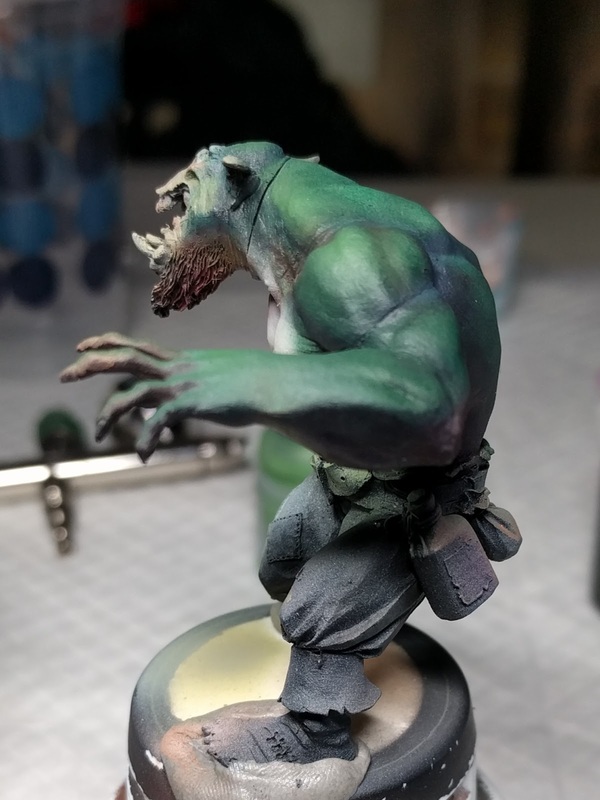 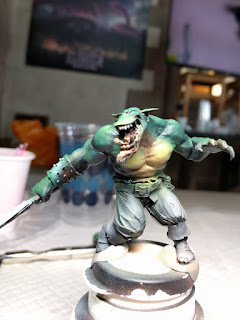 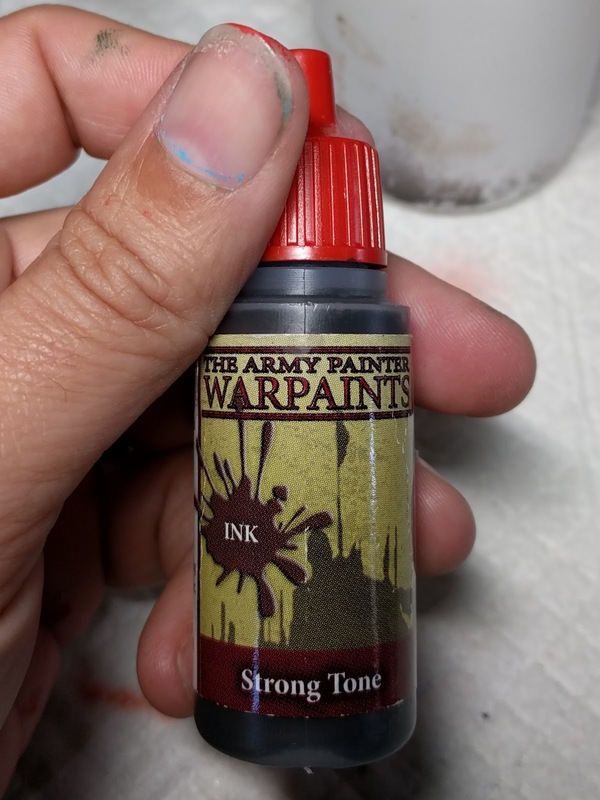 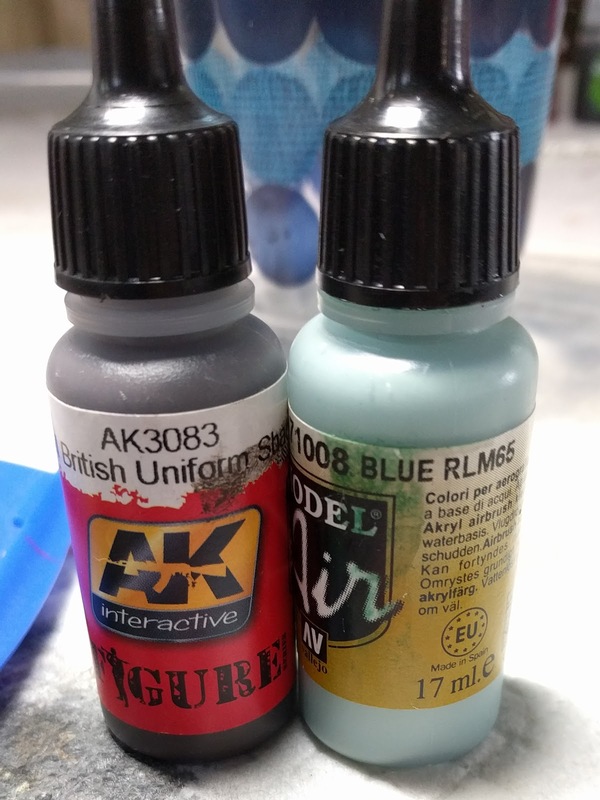 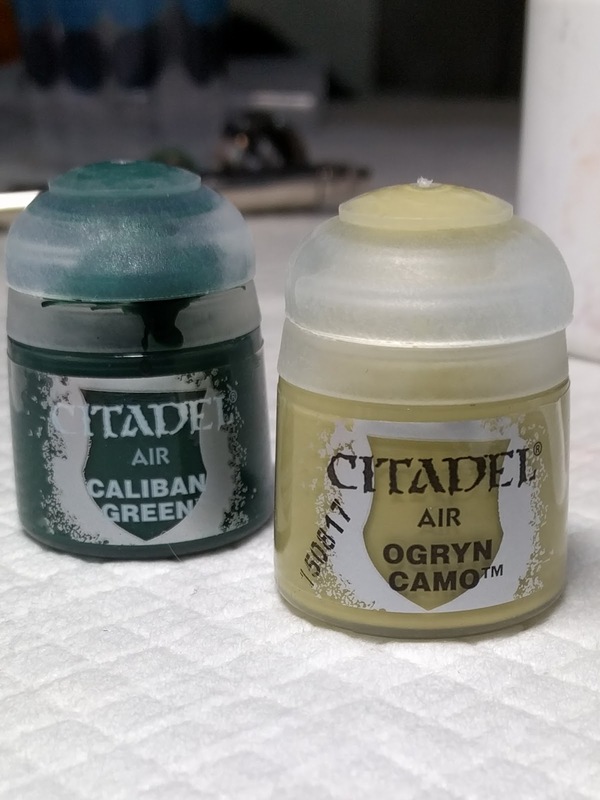 That weekend my painting game stepped up more than any other single change. 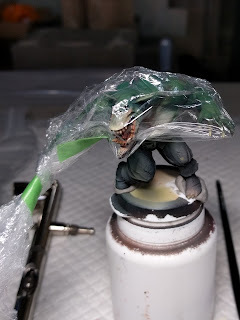 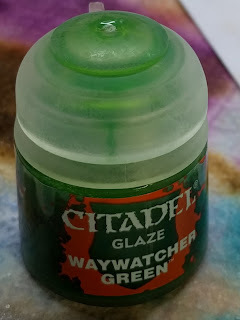 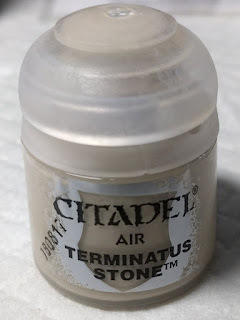 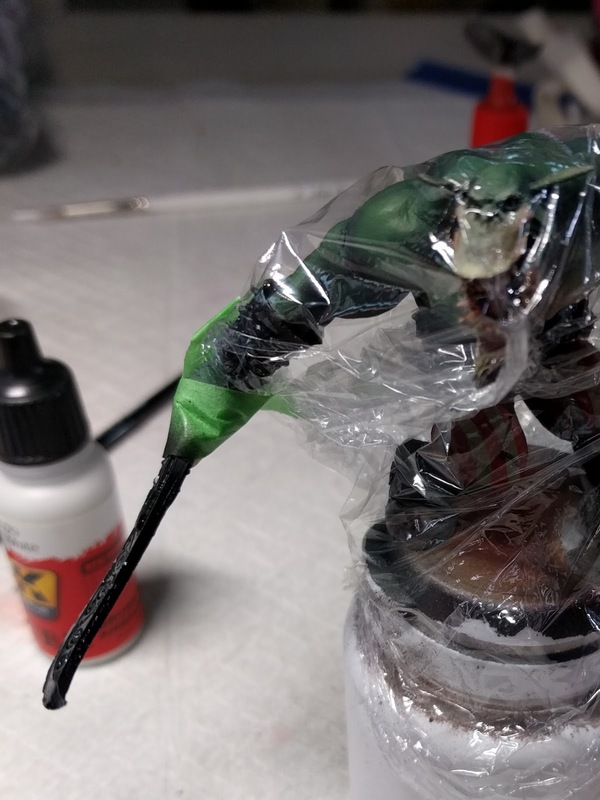 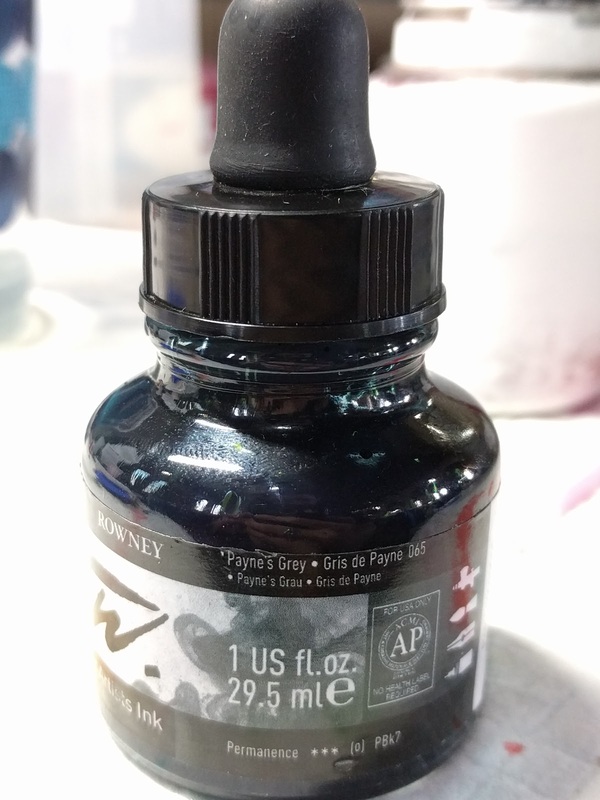 I have primed and basecoated virtually every miniature I have touched since then and there have been a lot of them. From Space Hulk Terminators to Discworld minis, I've been able to churn through a huge number of figures in a record time. Well that was the 101 class and Kat and Caleb have since developed a 102 class that takes painting to the next level and I've just been able to attend the class as they did a tour of the UK. 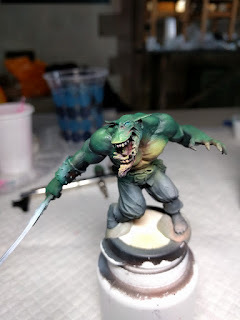 I'm not going to go into a huge amount of detail on the stages of the class. If you want that - I heartily recommend taking the class yourself. Hopefully there is still enough here to give you a good sense of what the class entails. 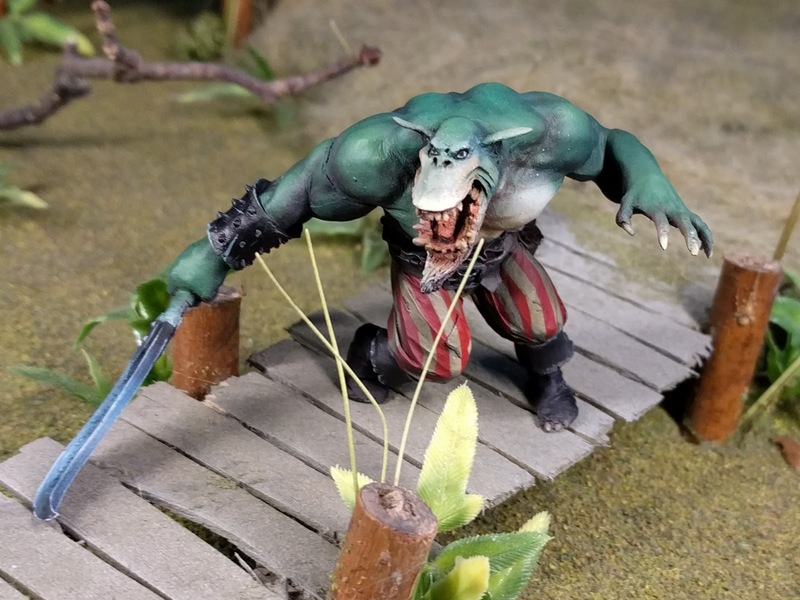 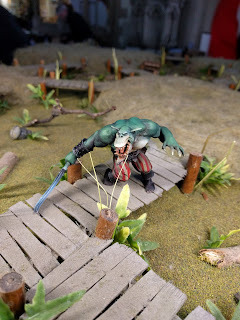 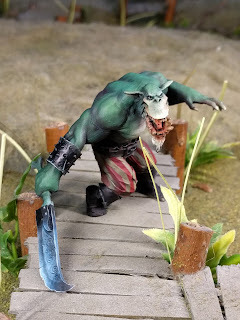 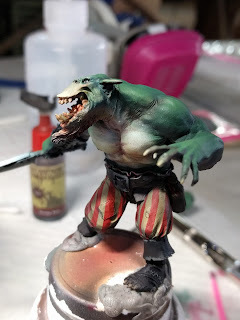 The model for this class was supplied by Kat and Caleb but is Guruk the First Mate by Big Child Creatives. 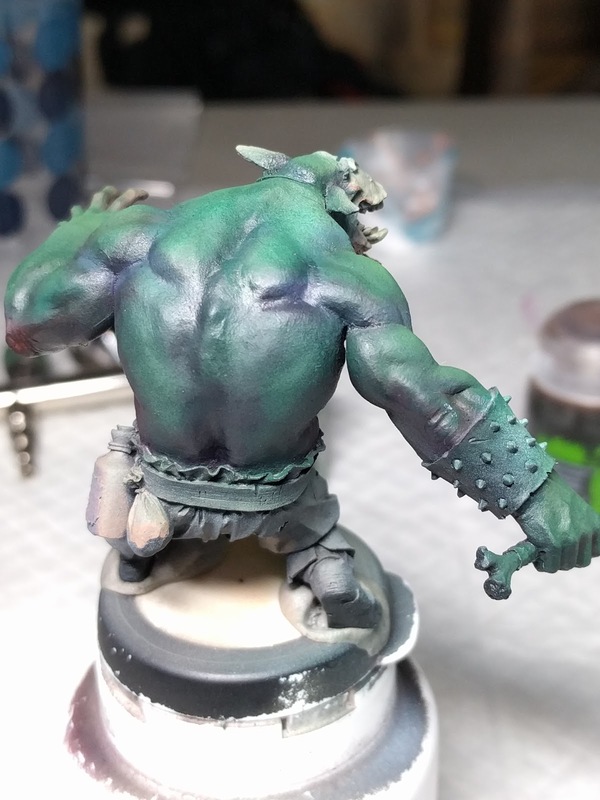 Day one was all about the flesh. 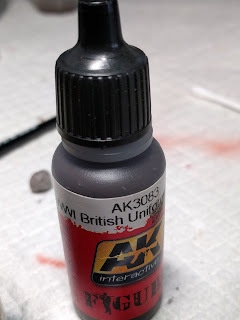 As this is the first thing to get painted, there's no need for masking. 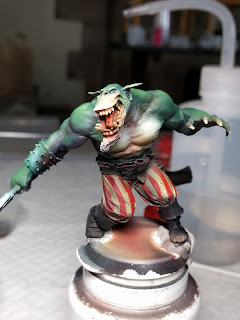 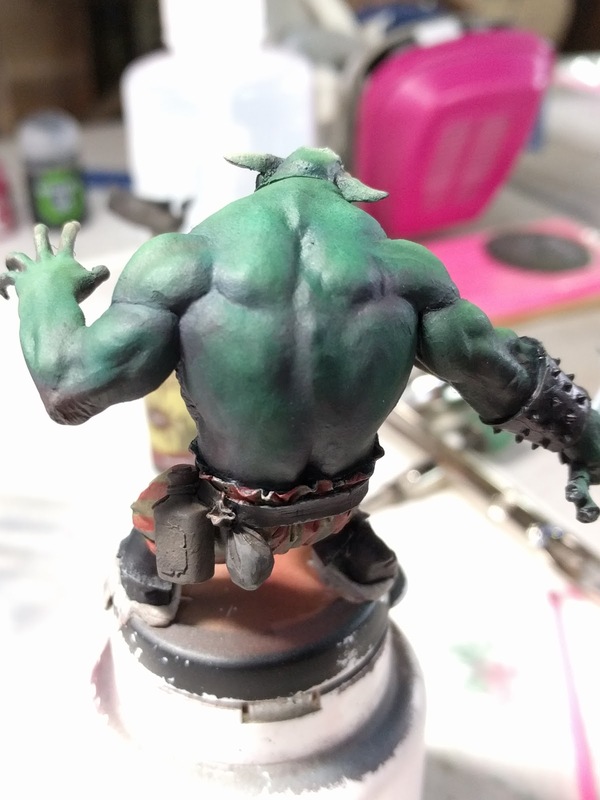 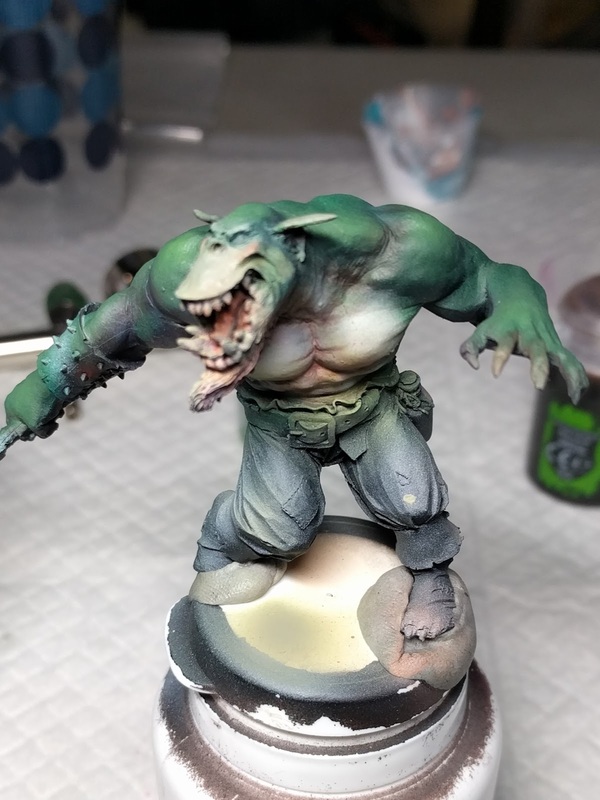 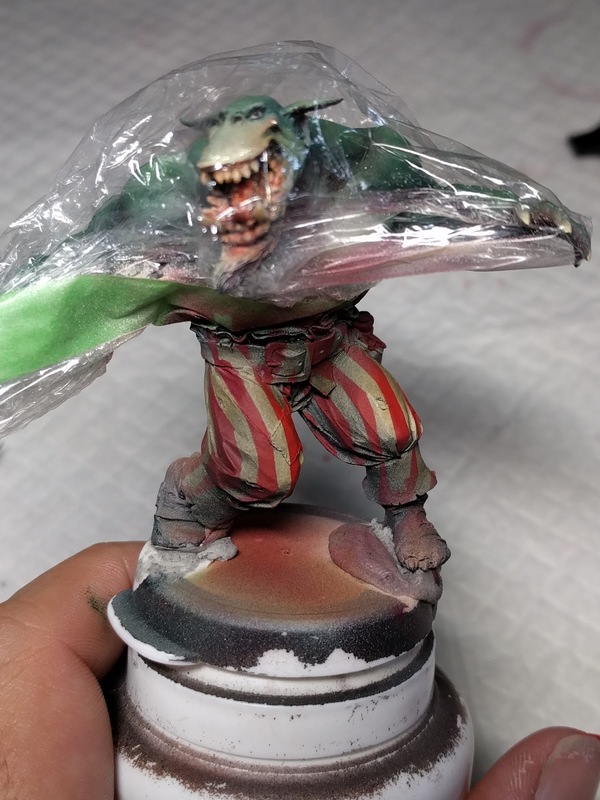 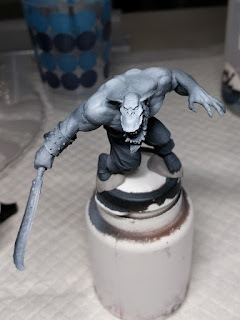 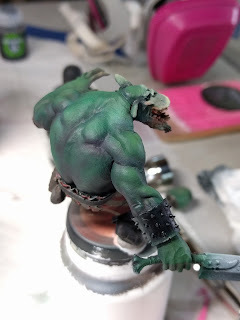 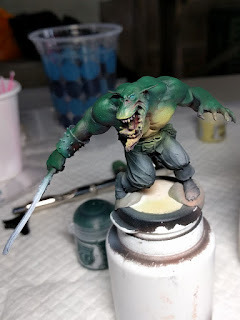 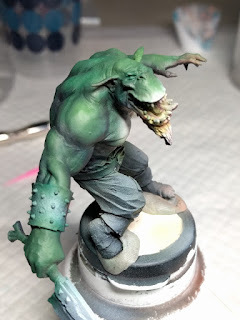 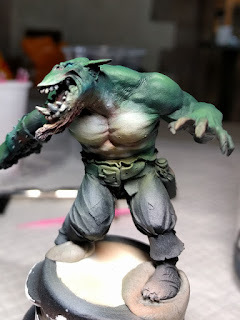 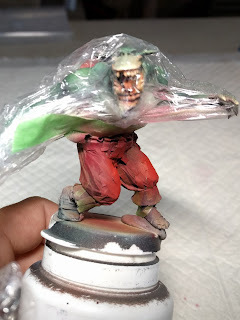 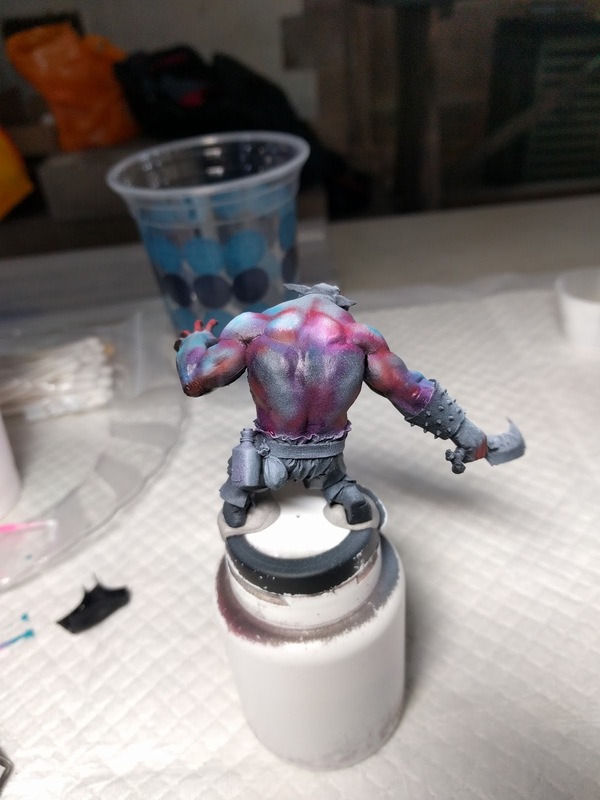 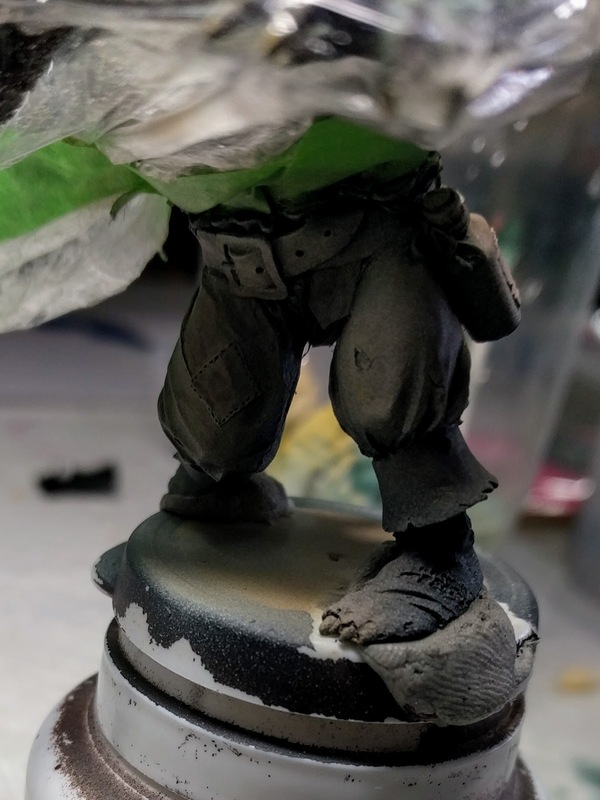 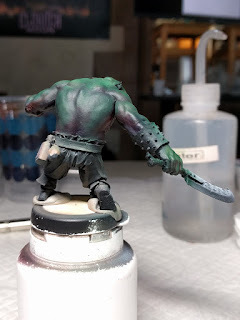 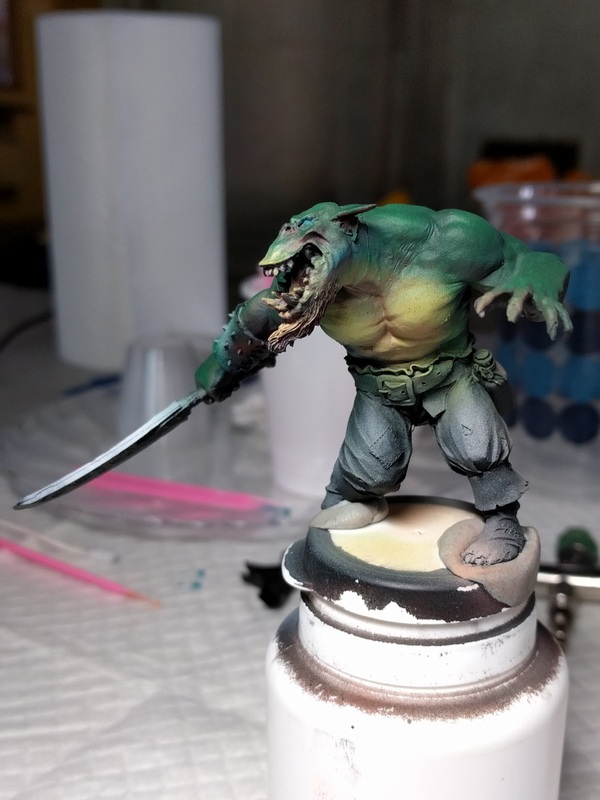 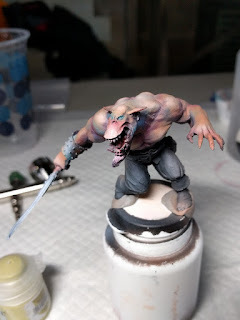 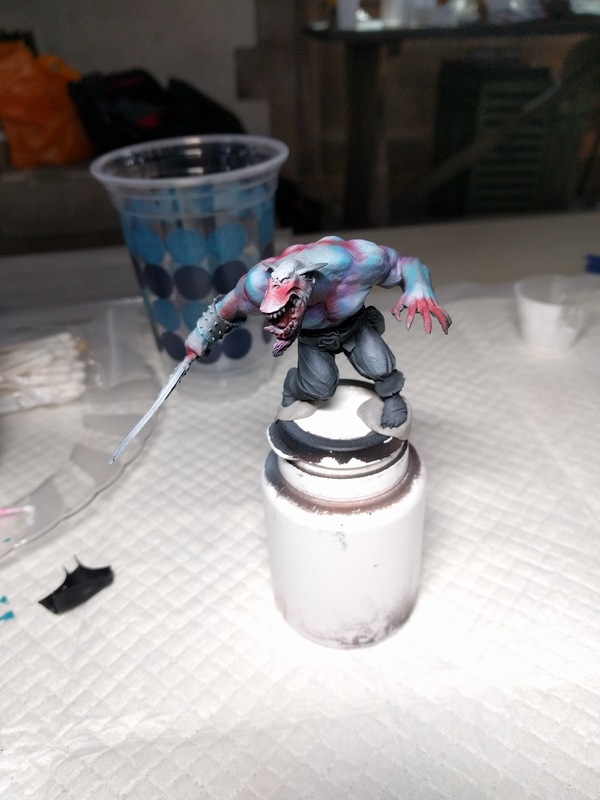 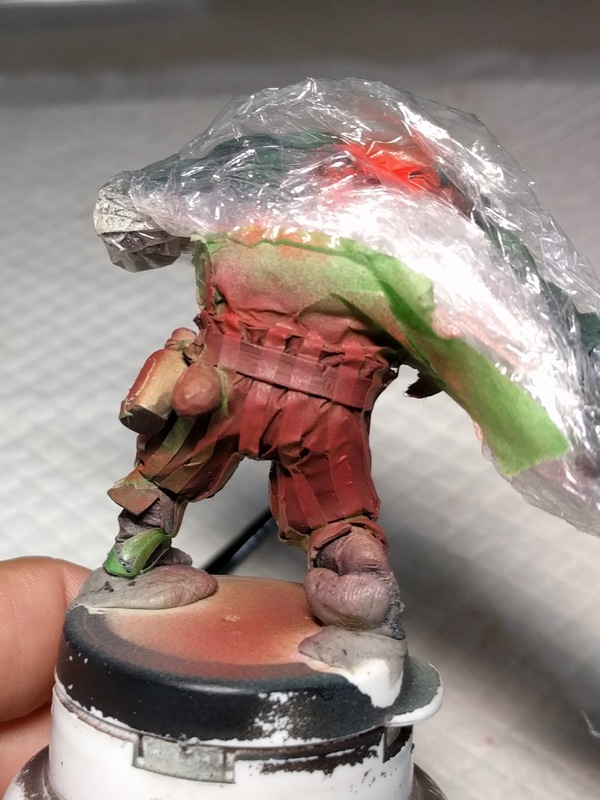 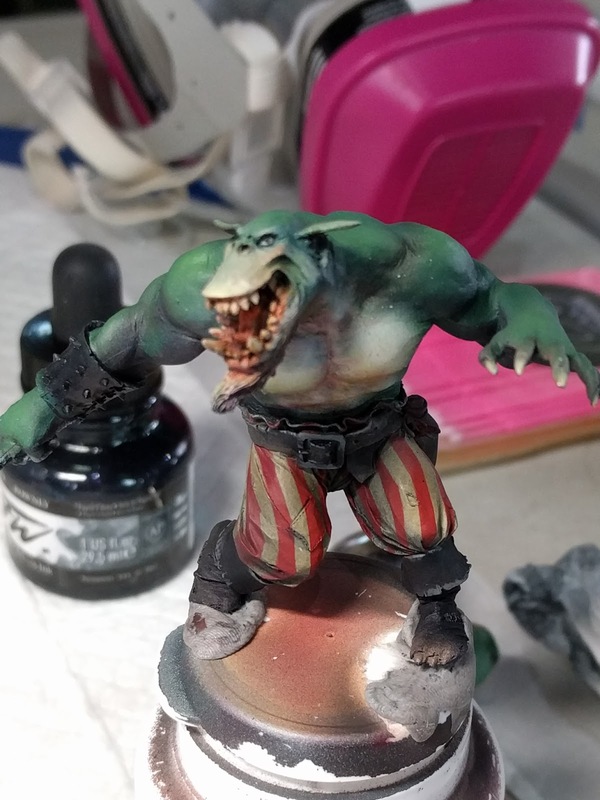 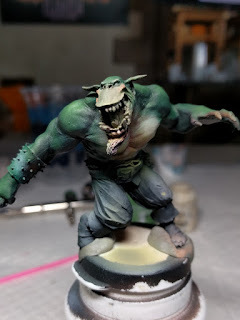 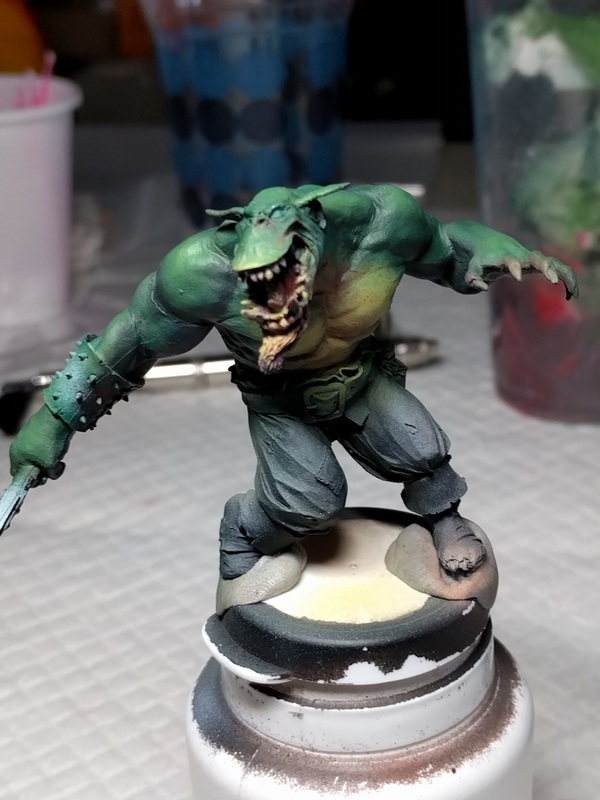 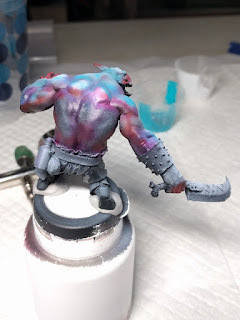 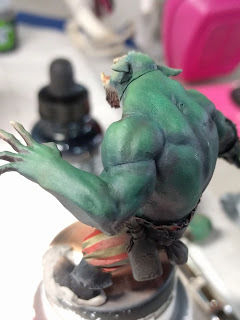 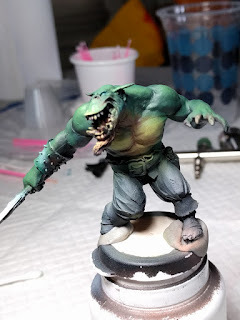 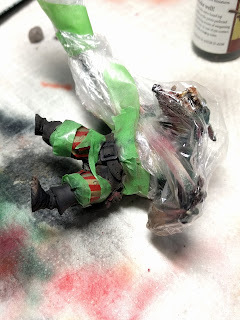 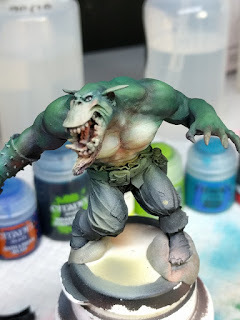 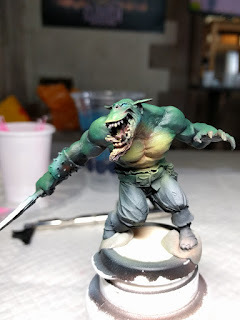 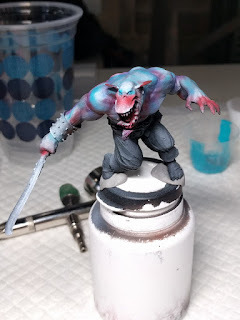 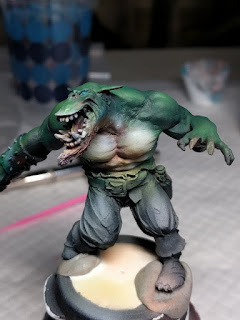 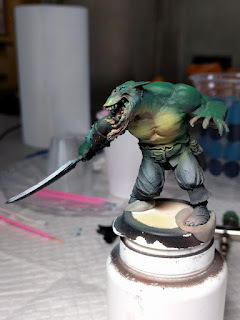 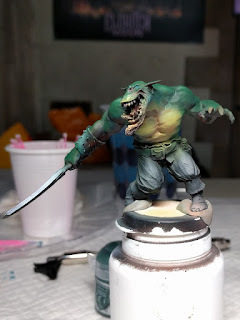 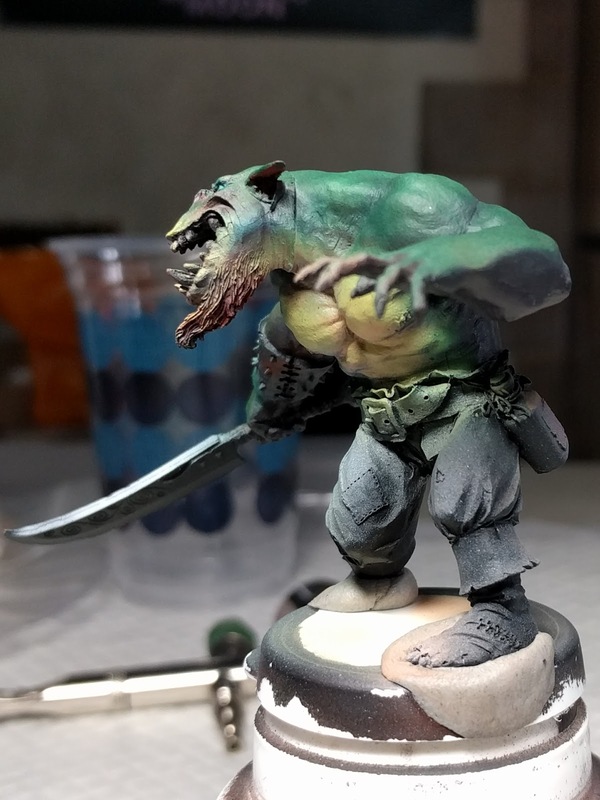 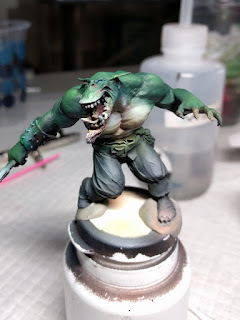 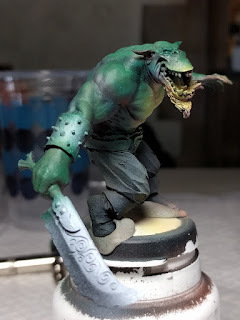 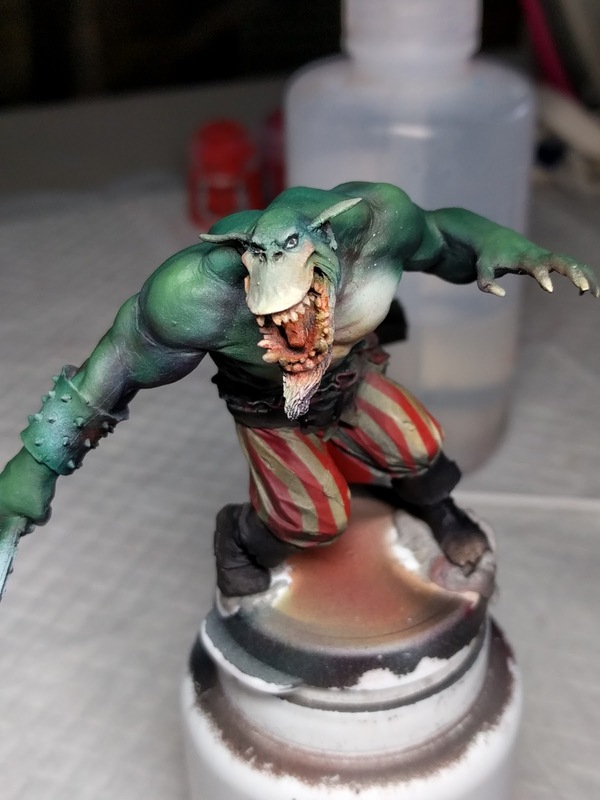 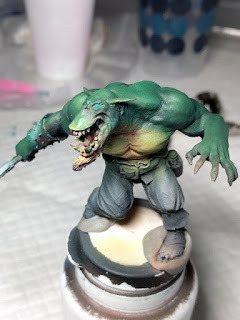 Having painted up the flesh, it was time to move onto the rest of the miniature... starting with pants! (or trousers). 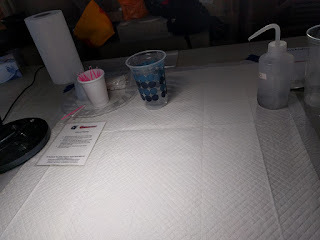 I think this was the part of the class I was most excited about... so excited that I kinda forgot to take photos... MASKING! He's not fully finished. 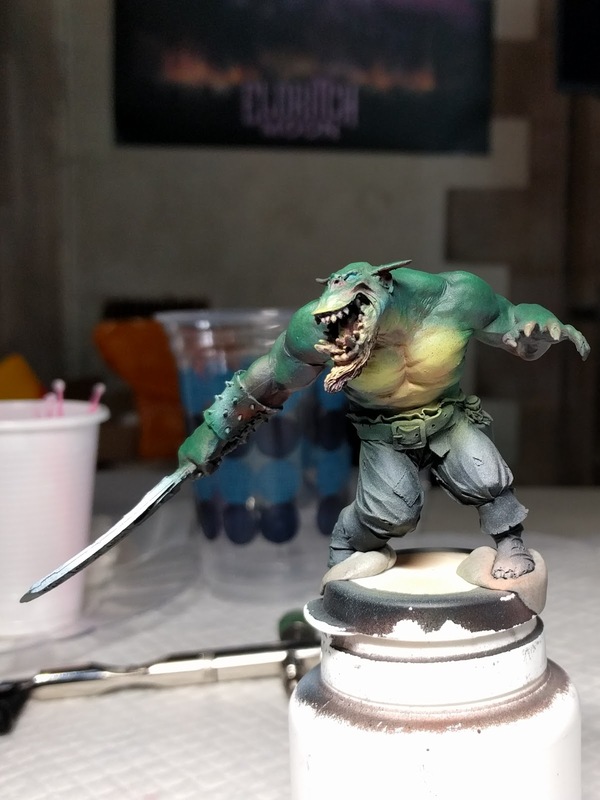 I want to redo the sword and tidy up some detailing with a paintbrush. 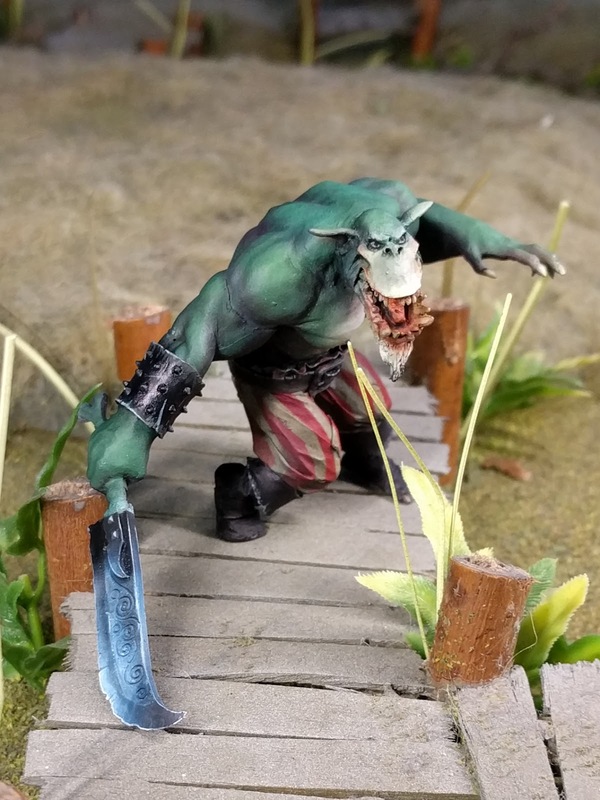 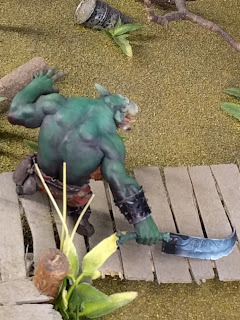 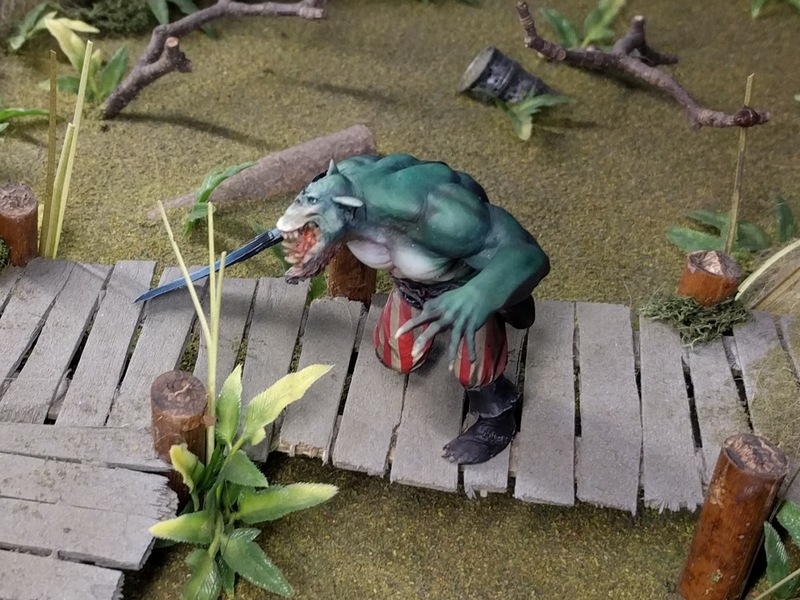 I also need to figure out how to base him as the swamp scene was from the store. 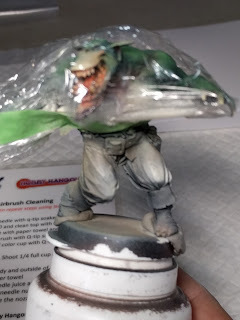 I want a water element but he looks to be engaged in a boarding action which is typically above the waterline on the deck of a ship so I will need to think about it some.